Every year, a number of natural disasters strike in countries around the world. These disasters leave a path of destruction, often taking hundreds of lives while forcing the living to rebuild their lives. This process can take months or even years, while those stuck in the countries often experience significant delays while trying to evacuate to their home countries. As soon as a disaster strikes, the world's attention goes towards supporting those displaced by the disaster. Relief can come in many different forms, from donating items towards relief to offering manpower to help the cause. Additionally, many may consider taking a "voluntourism" trip, or traveling to the country to see the nation and provide aid in rebuilding. However, in many situations, taking a trip may not always be the right answer. When it comes to supporting international disasters, should one consider making an international trip? Here are three ways travelers should consider sending support for international disasters before voluntourism. In the immediate aftermath of a natural disaster, international relief organizations often provide first lines of support to those affected. Through their vast networks, they can provide clean water, blankets and hygiene kits to local residents. However, many of those kits are purchased and delivered through monetary donations given from around the world. All international relief organizations will accept cash donations to help directly support rebuilding after natural disasters. In addition, those donations may be tax deductible. Before donating, it is important that travelers understand their selected charity's causes, and are comfortable with their policies. For those who are uncomfortable donating cash to organizations, some groups will accept material donations as well. Although cash is often the most preferred donation, relief comes in all forms – including excess blankets, clothes, and other items. For those who would rather donate physical items, consider working with a local organization collecting donations to support those affected by natural disasters. Some communities begin working with the local consulate for the affected region to begin shipping donated items to those affected. Once again, be sure to know who the donations are going to, and research their background before willingly handing over any support. In the days after a natural disaster strikes a location, relief items are incredibly important. It is just as important to consider the fact that highly trained volunteers are always in demand, and are often summoned from around the world to help in an emergency situation. While donations can pay for skilled teams to provide relief on a moment's notice, unused frequent flyer miles can also play a big part in helping teams get to crisis centers. For those who have an excess of frequent flyer miles and are not sure what to do with them, it may be prudent to consider donating those miles to a number of causes. Both Delta Air Lines and United Airlines allow their frequent flyers to donate miles directly to the American Red Cross, while American Airlines allows travelers to donate to portfolio of causes selected by the airline. If money and material support are not options, frequent flyer miles can help get specially trained volunteers to a crisis site, as well as return back home. What if I want to provide manpower support through voluntourism? For those travelers who are still set on voluntourism, there are some steps to consider before booking a ticket. First off, many voluntourism trips are looking for volunteers with specialized training. Those who do not have training in medical fields, search and rescue, or other specific fields may not necessarily be needed in an initial tour. Without a demanded skill set, it may be prudent to consider another donation method prior to volunteering. After the crisis has subsided, voluntourism may be a more real option – but not all tours may be dedicated to providing relief in affected regions. Before signing on to a tour, be sure to perform background research on the organization, and talk to others who have been on similar tours. If a tour operator can't provide details on a specific relief project or the destination, consider a different voluntourism project. 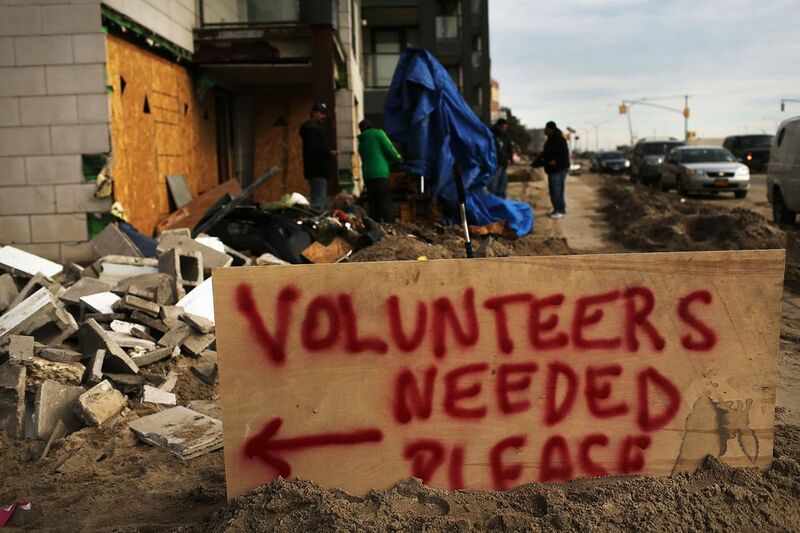 While voluntourism can be a great way to help others, it may not be the best way to help areas affected by crisis. Before signing up to help after a crisis, consider making a donation of money, items, or frequent flyer miles as a better – and potentially more useful – first step.